Environmental champions in County Durham are being encouraged to apply for a prestigious annual awards scheme before it’s too late. The County Durham Environment Awards are held each year to celebrate the green achievements of local individuals, businesses, community organisations and schools. They reward environmental guardianship, great design and community spirit. The deadline for the 2017 awards is fast approaching with people having until just Friday 28 July to get their entries in. The judges are also able to give an ‘outstanding’ award to an entry they feel has exceeded its category criteria, and is exemplary. Shortlisting and judging will take place over the summer with winners announced at a ceremony in Durham in November. Oliver Sherratt, interim chair of the County Durham Environment Partnership which organises the awards, said: “These awards have been running for 28 years now and are a fantastic way to recognise the tremendous environmental work that goes on in County Durham, both for the benefit of us and future generations. “The scale of that work doesn’t matter at all – it could be someone keeping their local community clean and tidy or an organisation introducing a major energy reduction project. We have specific categories to ensure we capture a range of work whether it be from schools, business, community groups or individuals. “We know just how important those who give up their free time are in keeping County Durham looking as good as it does which is why we have three categories just for volunteers. “Previous winners have included conservation projects, environmental work at the coast, building restorations, environmental tourism, community gardens, school and community allotments, environmental education programmes, sustainable engineering projects and gardening clubs. They have really delighted in getting recognition so we’d encourage anyone who feels they deserve to be celebrated to put themselves forward. 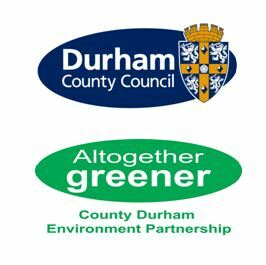 The awards are hosted by the partnership and supported by Durham County Council, The Northern Echo, Groundwork North East, Banks Group and Durham Wildlife Trust. To submit an entry online visit www.countydurhampartnership.co.uk/envawards or call 03000 267 133 to find out more about alternative ways to enter or to nominate someone else. People can also find out more by searching #Altogethergreener on social media.